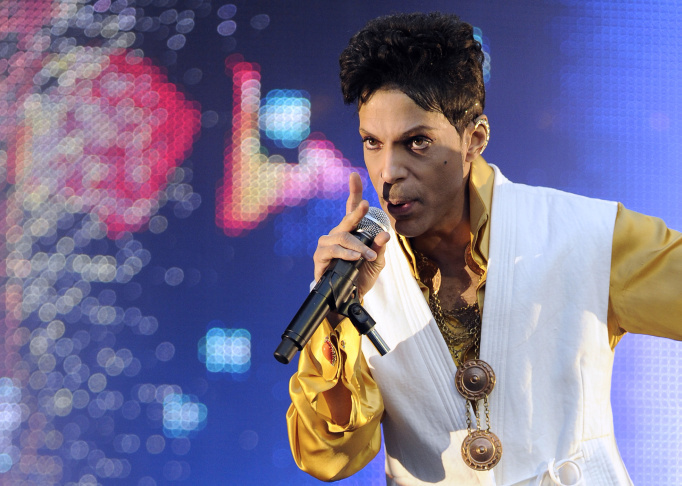 US singer and musician Prince (born Prince Rogers Nelson) performs on stage at the Stade de France in Saint-Denis, outside Paris, on June 30, 2011. 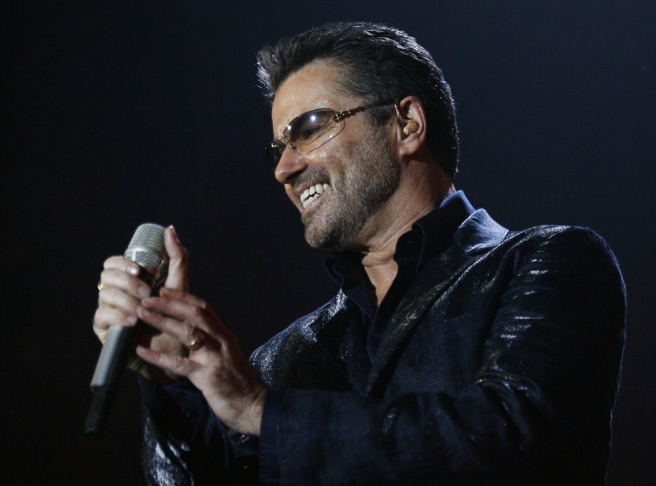 British singer George Michael performs during his concert at the Hallenstadion arena in Zurich, Switzerland, on Thursday evening, Oct. 26, 2006. 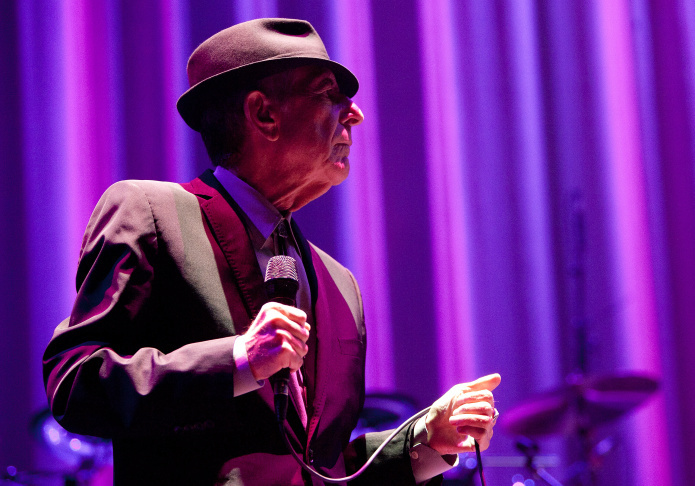 Musician Leonard Cohen performs at Madison Square Garden on Dec. 18, 2012 in New York City. 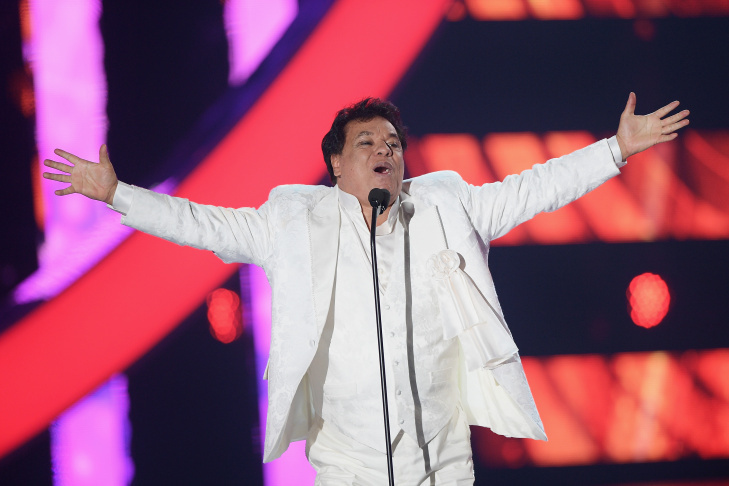 Juan Gabriel performs onstage at the Billboard Latin Music Awards at Bank United Center on April 28, 2016 in Miami, Florida. 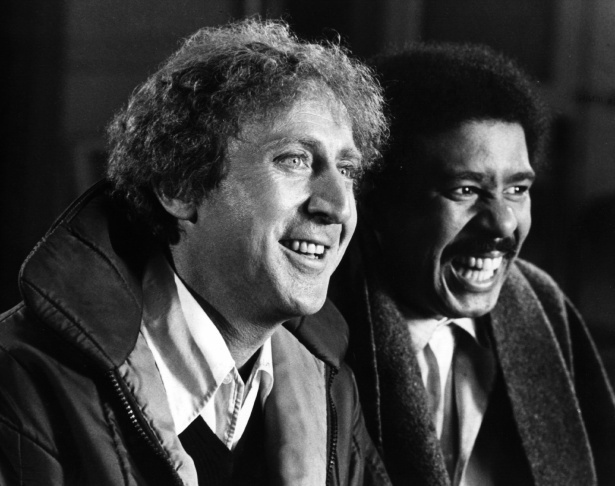 American comic actor Gene Wilder, originally Jerry Silkman, stars with comedian Richard Pryor in the action comedy "Silver Streak." 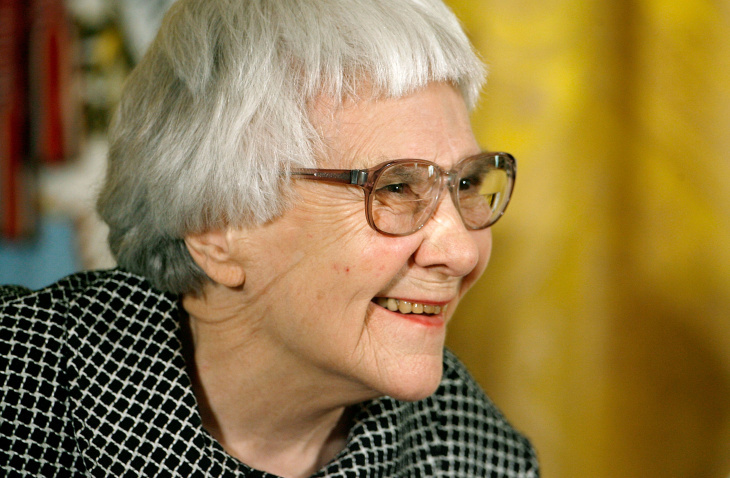 Pulitzer Prize winner and "To Kill A Mockingbird" author Harper Lee smiles before receiving the 2007 Presidential Medal of Freedom in the East Room of the White House November 5, 2007 in Washington, DC. 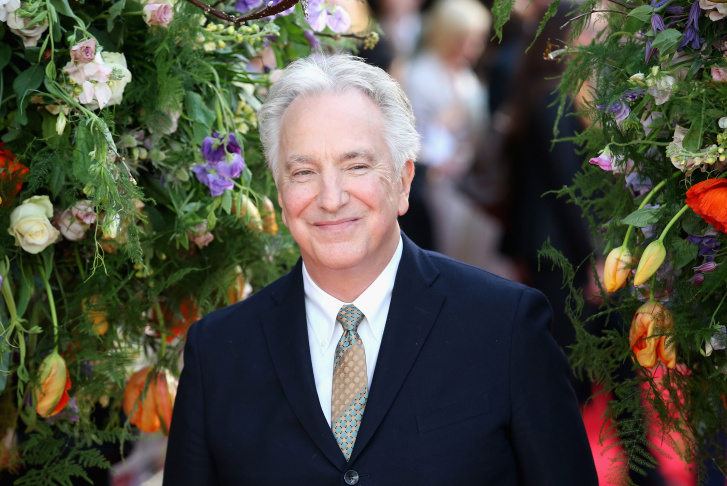 Director and actor Alan Rickman attends the UK premiere of "A Little Chaos" at ODEON Kensington on April 13, 2015 in London, England. 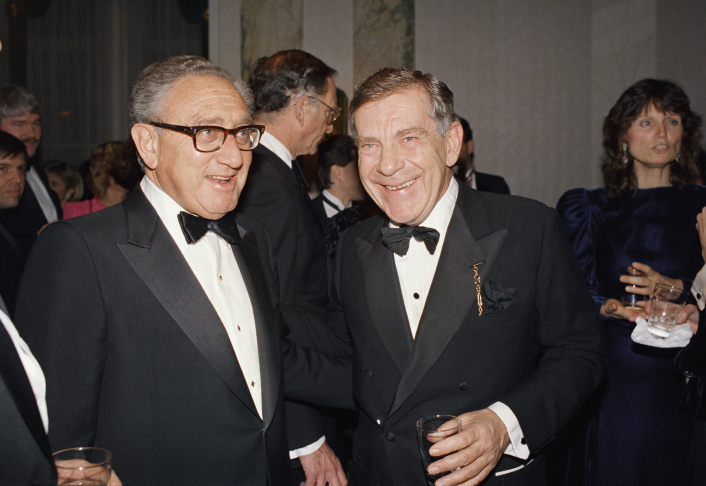 Henry Kissinger, left, and Morley Safer of CBS television's 60 Minutes pose during reception for 60 Minutes given by the International Radio and Television Society, Inc. at New York's Woldorf Astoria on Thursday, March 3, 1988. 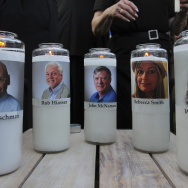 Safer was among the many celebrities, politicians and other public figures who died in 2016. 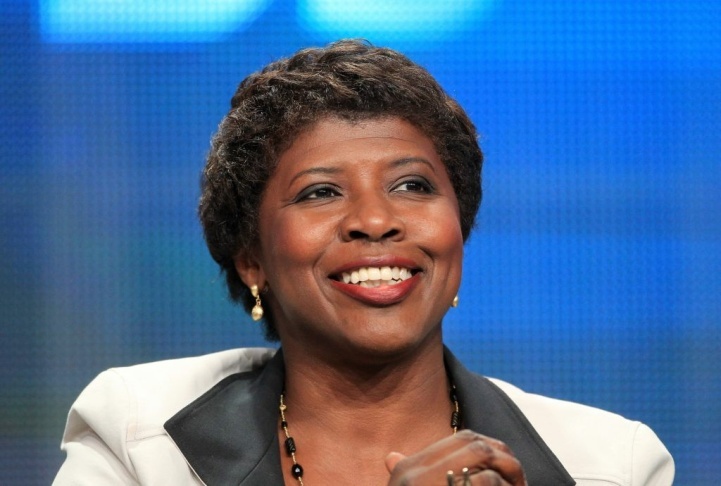 Gwen Ifill, Washington Week, PBS NewsHour speaks onstage at the 'PBS Election Coverage' panel during day 2 of the PBS portion of the 2012 Summer TCA Tour held at the Beverly Hilton Hotel on July 22, 2012 in Los Angeles, California. Nancy Reagan photographed circa 1983. 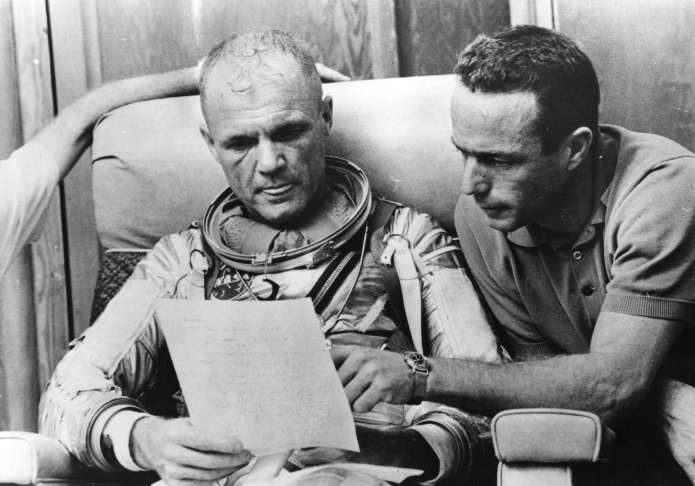 American astronaut Lt Col John Glenn checks over notes with back-up pilot Scott Carpenter after a simulated flight, prior to the Mercury-Atlas 6 mission at Cape Canaveral, the object of which is to put the first American spaceman into orbit around the Earth. Former principal conductor of the New York Philharmonic who moved between conducting, composition and teaching as one of the leading figures in modern classical music. Jan. 5. Actor and comedian who in the 1950s got attention as a member of Steve Allen’s fabled TV comic troupe but secured lasting fame decades later as Dwayne Schneider, the cocky handyman on the long-running sitcom “One Day at a Time.” Jan. 6. Twin sister of Iran’s deposed shah whose glamorous life epitomized the excesses of her brother’s rule. Jan. 7. Hall of fame rhythm and blues artist known as much for his big heart and charitable work in Chicago as for his singing internationally. Jan. 8. 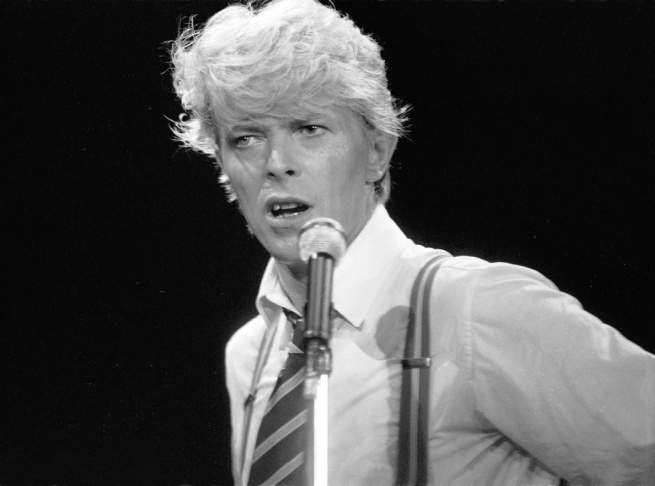 Other-worldly musician who broke pop and rock boundaries with his creative musicianship, striking visuals and a genre-spanning persona he christened Ziggy Stardust. Jan. 10. Classically-trained British stage star and sensual screen villain in the “Harry Potter” saga and other films. Jan. 14. Celine Dion’s husband and manager, who molded her from a French-speaking Canadian ingénue into one of the world’s most successful singers. Jan. 14. Rugged, bearded actor who starred in the film and TV series “The Life and Times of Grizzly Adams.” Jan. 15. Rock ‘n’ roll rebel who co-founded the Eagles and with Don Henley formed one of history’s most successful songwriting teams with such hits as “Hotel California” and “Life in the Fast Lane.” Jan. 18. Character actor whose leathery, sad-eyed face made him ideal for playing the over-the-hill detective Phil Fish in the 1970s TV series “Barney Miller” and the doomed Mafia soldier in “The Godfather.” Jan. 26. Founding member of the Jefferson Airplane who stayed with the seminal band through its transformation from 1960s hippies to 1970s hit makers as the eventual leader of successor group Jefferson Starship. Jan. 28. Vocalist and original member of the Jefferson Airplane who left the band after its first record and was replaced by Grace Slick. Jan. 28. Cartoonist and illustrator whose old friend Charles M. Schulz borrowed his first name for Charlie Brown’s blanket-carrying best friend Linus in his “Peanuts” comic strip and cartoons. Jan. 29. Giant in the fight for civil rights in Kentucky and the first African-American woman elected to the state Senate. Jan. 30. His warm Irish brogue and sly, gentle humor made him a star of British television and radio for decades. Jan. 31. Half of the enduring TV and radio comedy team Bob and Ray. Feb. 2. Earth, Wind & Fire founder whose horn-driven band sold more than 90 million albums. Feb. 3. Associated Press photographer who was at Dallas police headquarters as authorities brought in President John F. Kennedy’s assassin. Feb. 3. Former Indiana governor who escaped from a Japanese prisoner camp by swimming overnight during World War II and then made an around-the-world solo sailing trip while in his 70s. Feb. 4. Apollo 14 astronaut who became the sixth man on the moon when he and Alan Shepard helped NASA recover from Apollo 13’s “successful failure.” Feb. 4. Influential conservative and most provocative member of the U.S. Supreme Court. Feb. 13. Veteran Egyptian diplomat who helped negotiate his country’s landmark peace deal with Israel but clashed with the United States when he served a single term as U.N. secretary-general. Feb. 16. Filmmaker and writer named best director last year at a film festival in Switzerland for his latest film, “Cosmos.” Feb. 17. Angela “Big Ang” Raiola, 55. Raspy-voiced bar owner who gained fame on the reality TV series “Mob Wives.” Feb. 18. Elusive novelist whose child’s-eye view of racial injustice in a small Southern town, “To Kill a Mockingbird,” became standard reading for millions of young people and an Oscar-winning film. Feb. 19. Italian author who intrigued, puzzled and delighted readers worldwide with his best-selling historical novel “The Name of the Rose.” Feb. 19. British pilot who flew more kinds of aircraft than anyone in history and was the first person to land a jet on an aircraft carrier. Feb. 21. Country singer who recorded romantic ballads like “Young Love” and turned pop songs into country hits. Feb. 22. Hulking, tough-guy actor who won an Academy Award for his portrayal of a savage chain-gang convict in the 1960s classic “Cool Hand Luke.” Feb. 28. British writer who created the long-running soap opera “Coronation Street.” March 1. As Thailand’s foreign minister, he helped cement his country’s close relations with the United States during the Vietnam War. March 3. With her husband, Rory, she formed the award-winning country duo Joey + Rory. March 4. Author of “The Great Santini,” ’’The Prince of Tides" and other best-sellers, whose novels drew upon his bruising childhood and the vistas of South Carolina. March 4. Inventor of modern email and a technological leader. March 5. 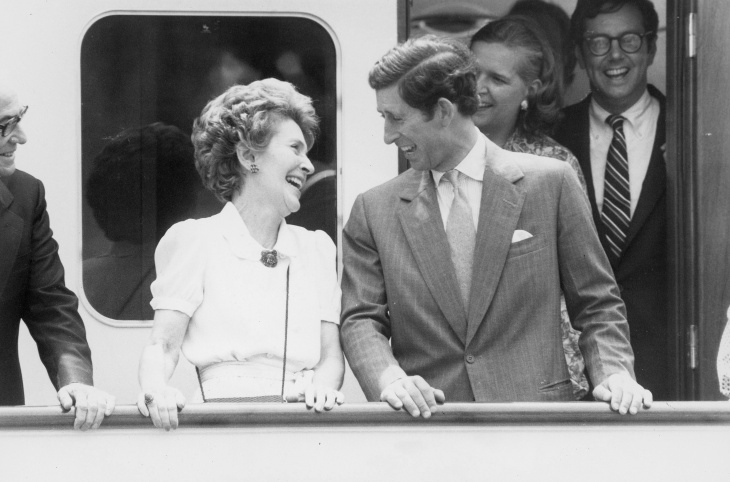 Helpmate, backstage adviser and fierce protector of Ronald Reagan in his journey from actor to president — and finally during his battle with Alzheimer’s disease. March 6. The Beatles’ urbane producer who quietly guided the band’s swift, historic transformation from rowdy club act to musical and cultural revolutionaries. March 8. Experimental, socially radical composer who served as Queen Elizabeth II’s official master of music. March 14. 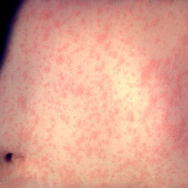 Leukemia. He carried on his father’s legacy with his own music career; his kidnapping as a young man added a bizarre chapter to his father’s legendary life. March 16. Former Israeli general and longtime director of the country’s spy agency. March 17. Booster rocket engineer who spent decades filled with guilt over not stopping the explosion of the space shuttle Challenger. March 21. Former Intel Corp. chief executive whose youth under Nazi occupation and escape from the Iron Curtain inspired an “only the paranoid survive” management philosophy that saved the chip maker from financial ruin in the 1980s. March 21. Pugnacious, populist former mayor of Toronto whose career crashed in a drug-driven, obscenity-laced debacle. March 22. Cancer. Lyricist whose witty wordplay was a linchpin of the groundbreaking hip-hop group A Tribe Called Quest. March 22. Complications from diabetes. Actor and comedian who masterminded a brand of phony docudrama with “The Larry Sanders Show.” March 24. Prolific writer who drew upon his Depression-era upbringing in the Blue Ridge Mountains of Virginia to create one of television’s most beloved family shows, “The Waltons.” March 24. Folksy Roman Catholic nun who used a monastery garage to begin a television ministry that grew into a global religious media empire. March 27. Man convicted of the 1964 stabbing death of Kitty Genovese, a crime that came to symbolize urban decay and indifference. March 28. As a teen, she won an Oscar for playing Helen Keller in “The Miracle Worker,” then maintained a long career while battling personal demons. March 29. Long-serving German foreign minister who was one of the key architects of the country’s 1990 reunification of east and west. March 31. Hungarian writer who won the 2002 Nobel Prize for Literature for fiction largely drawn from his experience as a teenage prisoner in Nazi concentration camps. March 31. Latin Jazz saxophonist who composed the Grammy-winning music for the steamy Marlon Brando film “Last Tango in Paris” and recorded dozens of albums over a career spanning more than seven decades. April 2. He turned three words from a minor acting role — “It’s a trap!” — into one of the most beloved lines of the “Star Wars” series. April 3. Country giant who rose from poverty and prison to international fame through his songs about outlaws, underdogs and an abiding sense of national pride in such hits as “Okie From Muskogee” and “Sing Me Back Home.” April 6. Convicted drug smuggler who reinvented himself as an author, raconteur and drug-reform campaigner after publishing the best-selling autobiography “Mr. Nice.” April 10. Music producer, reality TV star and former husband of Liza Minnelli. April 12. Dapper entrepreneur and “Godfather of Rodeo Drive” whose vision transformed a nondescript Southern California street into one of the world’s pre-eminent fashion districts. April 14. She played the tart-tongued, endlessly meddling mother on “Everybody Loves Raymond.” April 17. Lanky law professor who played a decisive role in restoring Chile’s democracy after 17 years of brutal dictatorship and was later elected president. April 19. Tall, muscle-bound, raven-haired pro-wrestler who rocketed to popularity in the 1990s and later made the rounds on reality TV. April 20. Basketball player who went from New York City playground wonder to Big East star for Jim Boeheim at Syracuse. April 20. British comedian who found humor in everyday life and blazed a trail for other female comics. April 20. One of the most inventive and influential musicians of modern times with hits including “Little Red Corvette,” ’’Let’s Go Crazy“ and ”When Doves Cry." April 21. Frenchwoman who received the world’s first partial face transplant. April 22. Jazz and soul singer best known for the No. 1 hit ballad and “Philadelphia Soul” classic “Me and Mrs. Jones.” April 24. Musician who pioneered the synthetic drumhead in time to help a generation of rock-and-rollers shape their sound and then saw it become standard on kits across genres. April 25. 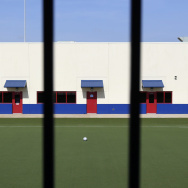 Former political prisoner who dedicated his later life to exposing abuses in China’s brutal prison labor camp system. April 26. He turned a fading American Basketball Association franchise into a four-decade windfall of nearly $800 million from the NBA in what’s commonly called the greatest deal in sports history. April 26. Former U.S. senator whose folksy demeanor and political acumen earned him three terms and the bitter disdain of his opponents. April 28. Roman Catholic priest and peace activist who was imprisoned for burning draft files in a protest against the Vietnam War. April 30. He took up weightlifting in an internment camp for Japanese-Americans and went on to win two Olympic gold medals for the United States. May 1. French actress best known for her small but memorable role in “Casablanca” as Rick’s pushed aside girlfriend Yvonne who passionately sings “La Marseillaise” at a pivotal moment. May 1. Former Black Panther who inspired the work of her son, rap icon Tupac Shakur, and fostered his legacy for decades after he was slain. May 2. One of Sweden’s best-known modern artists and the creator of the iconic statue of a revolver barrel tied in a knot. May 3. Former U.S. senator who shied away from the spotlight but earned a reputation as someone who knew how to get things done in Washington. May 4. Veteran performer and Hollywood union leader who played Patty Duke’s father — and uncle — on TV and led a long, contentious strike for actors. May 8. Polish-American Holocaust survivor who was the producer of three films by director Roman Polanski in the 1960s and reunited with him decades later for the Oscar-winning Holocaust drama “The Pianist.” May 10. California teenager whose paralyzing football injury led to increased safety protections for young players after he sued a youth league. May 11. Diminutive New Zealand man who inspired many by defying the brittle bones he was born with and pursuing a life filled with rigorous outdoor adventures. May 16. Died after falling from wheelchair during half-marathon. Texas singer-songwriter who helped mentor a generation of songwriters and wrote hits like “L.A. Freeway” and “Desperados Waiting for a Train.” May 17. Veteran “60 Minutes” correspondent who was equally at home reporting on social injustices, the Orient Express and abstract art, and who exposed a military atrocity in Vietnam that played an early role in changing Americans’ view of the war. May 19. Survivor of the Auschwitz-Birkenau Nazi death camp who was the wife of the founder of the U.S. Holocaust Memorial Museum and a passionate advocate of Holocaust remembrance. May 19. Actor-comedian who played the amiable straight man to a talking horse in the 1960s sitcom “Mister Ed.” May 19. Top North Korean diplomat who negotiated a short-lived 1994 deal with the United States to freeze his nation’s nuclear programs in exchange for international aid. May 20. Mullah Mohammed Akhtar Mansour, believed to be in his mid–50s. His brief rule of the Taliban in Afghanistan was marked by mistrust and strife. May 20. Killed in a drone strike. Retired Air Force colonel who was the ranking military officer among the 52 Americans held hostage in Iran for 444 days before being released in 1981. May 31. Heavyweight champion whose fast fists, irrepressible personality and determined spirit transcended sports and captivated the world. June 3. British playwright whose durable, award-winning hits included “Equus” and “Amadeus.” June 6. Chess grandmaster and former Soviet champion who defected to the West and was considered among the best players never to win a world championship. June 6. Bearded street fighter who parlayed his Internet popularity into a mixed martial arts career. June 6. “Raging Bull” actress who survived a stalker’s brutal attack to become a crime victims’ advocate and reclaimed her entertainment career with “The Commish” and other TV shows. June 6. Known as “Mr. Hockey,” the rough-and-tumble Canadian farm boy whose blend of talent and toughness made him the NHL’s quintessential star. June 10. She became a hairstyling celebrity after she created the beehive hairdo in 1960. June 10. Former U.S. senator and a two-term Ohio governor who preached frugality in his personal and public life and occasionally bucked the GOP establishment. June 12. Known for her pioneering suspense novels that captivated young readers, including “I Know What You Did Last Summer,” which became a movie. June 15. Lawmaker who campaigned for Britain to stay in the European Union. June 16. Killed by a gun- and knife-wielding attacker. Rising actor best known for playing Chekov in the new “Star Trek” films. June 19. Hit by his car in his driveway. Trumpet player on rock ‘n’ roll, soul, R&B and pop mainstays along with Memphis Horns partner and tenor saxophonist Andrew Love. June 21. Member of the Doolittle Raiders, who bombed Japan in an attack that stunned that nation and boosted U.S. morale during World War II. June 22. Former U.N. General Assembly president who was facing criminal charges in a bribery case. June 22. Author and Oscar-nominated screenplay writer who viscerally documented the ravages of the Vietnam War through his classic nonfiction novel “Dispatches” and through such films as “Apocalypse Now” and “Full Metal Jacket.” June 23. “Wizard of Woo” whose amazing array of keyboard sounds helped define the Parliament-Funkadelic musical empire and influenced performers of many genres. June 24. Burly comic actor dubbed the “good giant” for punching out bad guys on the screen, often in a long series of spaghetti westerns. June 27. Guru of the post-industrial age whose “Future Shock” and other books anticipated the disruptions and transformations brought about by the rise of digital technology. June 27. Militant leader of the Naga tribal insurgency in India. June 28. Winningest coach in Division I college basketball history who uplifted the women’s game from obscurity to national prominence during her 38-year career at Tennessee. June 28. Romanian-born Holocaust survivor whose classic “Night” became a landmark testament to the Nazis’ crimes and launched his career as one of the world’s foremost witnesses and humanitarians. July 2. Oscar-winning director whose film “The Deer Hunter” became one of the great triumphs of Hollywood’s 1970s heyday and whose disastrous “Heaven’s Gate” helped bring that era to a close. July 2. 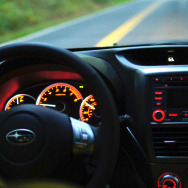 He started a leasing company with seven cars and built it into Enterprise Rent-A-Car. July 2. Iranian director whose 1997 film “Taste of Cherry” won the prestigious Palme d’Or and who kept working despite government resistance. July 4. Colorado media executive who became a major conservative voice in the Senate. July 5. Pakistan’s legendary philanthropist who devoted his life to the poor and the destitute. July 8. Former New York Times correspondent awarded a Pulitzer Prize for his coverage of the genocide in Cambodia in 1975 and whose story of the survival of his assistant inspired the film “The Killing Fields.” July 9. Convicted Cosa Nostra “boss of bosses” who reputedly led the Mafia’s powerful Corleone clan. July 13. Tenacious NBA defensive center who played with Wilt Chamberlain. July 16. Punk pioneer who helped form the duo Suicide, widely regarded as a forerunner of punk and electronic music. July 16. Former Minnesota governor and ex-Olympian described in a 1973 Time magazine cover article as the youthful embodiment of his home state only to lose public confidence later by arranging his own appointment to the U.S. Senate. July 17. Beloved Swiss clown and mime over nearly six decades who studied under Marcel Marceau and spread smiles from Broadway to Congo. July 19. U.S. representative, war veteran and long-time legislator known for his bright nature and deep commitment to service. July 20. Pancreatic cancer. Teacher who was held captive in Lebanon for more than six years until he was freed in 1991 and returned home to become professor emeritus at Colorado State University. July 22. Hollywood voice double whose singing was heard in place of the leading actresses’ in such movie musicals as “West Side Story,” “The King and I” and “My Fair Lady.” July 24. Co-author of the “Left Behind” series, a multimillion-selling literary juggernaut that brought end-times prophecy into mainstream bookstores. July 25. Renowned land speed motorcycle racer. July 25. Injuries suffered in a motorcycle crash. Actress who became famous playing the Jamaican psychic Miss Cleo, claiming to know callers’ futures in ubiquitous TV infomercials and commercials. July 26. Daughter of vaudeville stars who carved out her own career as the vivacious star of Hollywood musicals and comedies of the 1940s and ’50s. July 30. Wife of Romania’s last monarch, King Michael. Aug. 1. Science adviser to President Obama who won the 1999 Nobel Prize for his work on the study of chemical reactions over short time scales. Aug. 2. Clarinetist whose Dixieland jazz virtuosity and wit endeared him to his native New Orleans and earned him national television fame. Aug. 6. Former Maryland congresswoman who was an expert on the maritime industry. Aug. 6. He is credited with revitalizing and modernizing public transportation networks in Boston, New York and London. Aug. 9. As a young boy, he was at the center of a lawsuit that culminated with the U.S. Supreme Court outlawing segregated public schools. Aug. 9. He played the lovable droid R2-D2 in the “Star Wars” films, achieving cult status and fans’ adulation without showing his face or speaking any lines. Aug. 13. Plastic-faced Emmy Award-winning actor whose career in stage and screen started in Yiddish theater and led to memorable roles in “Fiddler on the Roof” on Broadway and on TV in “Boston Public” and “Picket Fences.” Aug. 14. Bricklayer’s son who became one of the most inventive jazz vibraphonists to pick up a pair of mallets. Aug. 15. President of FIFA for two decades, who transformed soccer’s governing body into a multibillion-dollar business but also a hotbed for subsequent corruption. Aug. 16. Conservative commentator and host of a long-running television show that pioneered hollering-heads discussions of Washington politics. Aug. 16. Oscar nominee for directing the hugely popular romantic tragedy “Love Story” during a career that spanned dozens of popular movies and TV shows. Aug. 17. Army general who rose in a 46-year military career to become chairman of the joint chiefs of staff and helped oversee Reagan’s military buildup. Aug. 18. 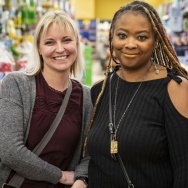 Former Travelers Group insurance company chief executive who became a national advocate for research into Lou Gehrig’s disease after being diagnosed with it. Aug. 19. Epidemiologist whose leadership resulted in the eradication nearly 40 years ago of smallpox, one of the world’s most feared contagious diseases. Aug. 19. Belgian harmonica player whose career included playing with jazz greats like Miles Davis and whose solos have figured on numerous film scores. Aug. 22. He helped shape West Germany’s policy of reconciliation with the communist bloc as foreign minister and later served as his country’s president. Aug. 24. French designer dubbed the “queen of knitwear” whose relaxed sweaters in berry-colored stripes and eye-popping motifs helped liberate women from stuffy suits. Aug. 25. Frizzy-haired actor who brought his deft comedic touch to such unforgettable roles as the neurotic accountant in “The Producers” and the mad scientist of “Young Frankenstein.” Aug. 28. Mexican songwriter and singer who was an icon in the Latin music world. Aug. 28. Better known as Mr. Fuji, he was a former star wrestler and manager. Aug. 28. Seven-time Olympic gymnastics gold medalist who stood up against the 1968 Soviet-led invasion of Czechoslovakia. Aug. 30. Raspy-voiced actor whose 200-plus credits ranged from “Homicide: Life on the Street” and “Modern Family” to the films “Barton Fink” and “The Big Lebowski.” Sept. 1. Rockwell International engineer who met President Ronald Reagan’s challenge to deliver 100 B–1 bombers as fast as possible in the early 1980s to challenge the Soviet Union. Sept. 3. He shot to fame as Sheriff Wyatt Earp in what was hailed as television’s first adult Western. Sept. 5. Outspoken conservative activist who helped defeat the Equal Rights Amendment in the 1970s and founded the Eagle Forum political group. Sept. 5. Hall of Fame boxer whose memorable fights included victories over Rafael “Bazooka” Limon, Cornelius Boza-Edwards, Danny Lopez and Ruben Olivares. Sept. 7. Believed to be the woman in an iconic photo shown kissing an ecstatic sailor in Times Square celebrating the end of World War II. Sept. 8. Tenor whose light but muscular voice dazzled audiences at the world’s top operatic stages. Sept. 8. Transgender performer who became an unlikely celebrity for her role in the 1994 best-seller “Midnight in the Garden of Good and Evil.” Sept. 8. Stage and screen director who won a Tony Award in his first outing on Broadway while helming “The Elephant Man” and kept working despite an accident that left him without the use of his arms and legs. Sept. 13. Arizona’s first female governor and a shepherd for the state during a period of political turbulence. Sept. 15. Three-time Pulitzer Prize-winning playwright who challenged theatrical convention in masterworks such as “Who’s Afraid of Virginia Woolf?” and “A Delicate Balance.” Sept. 16. Canadian novelist who blended magical realism and baseball in the book that became the smash hit film “Field of Dreams.” Sept. 16. Actress best known for sweetly portraying the eldest von Trapp daughter in “The Sound of Music.” Sept. 17. Brash community activist who helped transform San Francisco’s growing Asian American population into a politically powerful constituency. Sept. 18. Stanley “Buckwheat” Dural Jr., 68. Musician who rose from a cotton-picking family in southwest Louisiana to introduce zydeco music to the world through his band Buckwheat Zydeco. Sept. 24. Golfing great who brought a country-club sport to the masses with a hard-charging style, charisma and a commoner’s touch. Sept. 25. “The grand lady of the Grand Ole Opry” who had a long recording career in country music. Sept. 25. Bataan Death March survivor whose art helped him maintain his sanity as a prisoner of war and helped him forgive his captors. Sept. 25. He lived in the White House as a child when his grandfather, Franklin D. Roosevelt, was president and worked for two decades at the United Nations. Sept. 26. Former Israeli president and prime minister, whose life story mirrored that of the Jewish state and who was celebrated around the world as a Nobel prize-winning visionary who pushed his country toward peace. Sept. 28. A founding member of the New Orleans girl group The Dixie Cups, who had a No. 1 hit in 1964 with “Chapel of Love.” Oct. 3. He transformed the study of American Judaism, becoming one of the most influential 20th-century scholars of the religion. Oct. 8. Relentless junior welterweight who fought two memorable bouts with Alexis Arguello. Oct. 9. Poland’s leading filmmaker whose career maneuvering between a repressive communist government and an audience yearning for freedom won him international recognition and an honorary Oscar. Oct. 9. As a boy, he survived nine days alone on Maine’s tallest mountain in 1939 and later wrote a book about the ordeal. Oct. 10. Italian playwright whose energetic mocking of Italian political life, social mores and religion won him praise, scorn and the Nobel Prize for Literature. Oct. 13. World’s longest reigning monarch, he was revered in Thailand as a demigod, a humble father figure and an anchor of stability through decades of upheaval at home and abroad. Oct. 13. Former NFL defensive lineman whose career was ended by neck injury. Oct. 15. Car accident. The first woman to climb Mount Everest. Oct. 20. 1960s antiwar activist whose name became forever linked with the Chicago 7 trial, Vietnam War protests and his ex-wife, actress Jane Fonda. Oct. 23. Sheikh Khalifa bin Hamad Al Thani, 84. Former emir of Qatar who was deposed by his son in a bloodless palace coup. Oct. 23. His cartoon tracts preached fundamentalist Christianity while vilifying secular society, evolution, homosexuality, and the beliefs of Catholics and Muslims. Oct. 23. Boyish, grinning 1960s singer whose career was born when he took a stage as a teenager to fill in after the 1959 plane crash that killed rock ‘n’ roll stars Buddy Holly, Ritchie Valens and J.P. “The Big Bopper” Richardson. Oct. 24. Former president was a force in Uruguayan politics for half a century, who led the nation during one of its worst economic recessions. Oct. 24. World War II fighter pilot who became an aviation legend for his flying skills in testing aircraft and demonstrating their capabilities in air shows. Oct. 25. Talent agent who represented Marilyn Monroe, Elvis Presley, Clint Eastwood and other top Hollywood stars. Oct. 29. French composer and pioneer of electronic pop music who was best known for co-writing “Baroque Hoedown,” used as the music for the Main Street Electrical Parade at Disney theme parks. Nov. 4. First woman to serve as U.S. attorney general and the epicenter of several political storms during the Clinton administration, including the seizure of Elian Gonzalez. Nov. 7. Baritone-voiced Canadian singer-songwriter who blended spirituality and sexuality in songs like “Hallelujah,” ’’Suzanne“ and ”Bird on a Wire." Nov. 7. Debonair, Oscar-nominated actor whose many film roles were eclipsed by his hugely popular turn in television’s “The Man From U.N.C.L.E.” Nov. 11. Co-anchor of PBS’ “NewsHour” with Judy Woodruff and a veteran journalist who moderated two vice presidential debates. Nov. 14. Country singer who had a hit in 1986 with “Daddy’s Hands,” about her minister father. Nov. 14. Pianist and singer whose witty, Southern-accented lyrics delivered over a backdrop of boogie-woogie blues and jazz piano influenced musicians across a wide spectrum. Nov. 15. Los Angeles lawyer whose clients included “Hollywood Madam” Heidi Fleiss and his own mob-boss father. Nov. 15. Former Wisconsin congressman and U.S. defense secretary during years when President Richard Nixon sought a way to withdraw troops from Vietnam. Nov. 16. Award-winning songwriter behind the 1970s hit “Drift Away,” which became a soulful rock ‘n’ roll anthem aired on radio stations for generations. Nov. 16. Cardiovascular surgeon who performed some of the nation’s first heart transplants and implanted the world’s first artificial heart. Nov. 18. Powerhouse who shepherded a soul revival despite not finding stardom until middle age. Nov. 18. Cancer. Brooklyn Dodgers pitcher who gave up the “Shot Heard ’Round the World” that still echoes six decades later as one of the most famous home runs in baseball history. Nov. 23. Broadway star who became one of America’s most beloved television moms in “The Brady Bunch.” Nov. 24. He led his bearded rebels to victorious revolution in 1959, embraced Soviet-style communism and defied the power of U.S. presidents during his half-century of rule in Cuba. Nov. 25. Tony Award-winning actor who played Sherlock Holmes and Shakespearian kings on Broadway while also creating memorable roles on TV and film from “Star Trek: Deep Space Nine” to “Marathon Man.” Nov. 26. Michael James “Jim” Delligatti, 98. McDonald’s franchisee who created the Big Mac nearly 50 years ago and saw it become perhaps the best-known fast-food sandwich. Nov. 28. He brought new polish to the TV world with beloved shows including “Hill Street Blues” as both a producer and a network boss. Nov. 28. South Indian actress who turned to politics and became the highest elected official in the state of Tamil Nadu. Dec. 4. His 1962 flight as the first U.S. astronaut to orbit the Earth made him an all-American hero and propelled him to a long career in the U.S. Senate. Dec. 8. One of the most powerful voices in the world of Gypsy music. Dec. 11. Singer and dynamic frontman of the Grammy-winning gospel group Mighty Clouds of Joy. Dec. 11. Guyanese author, educator and diplomat whose years teaching in the slums of London’s East End inspired the international best-seller “To Sir, With Love” and the movie of the same name. Dec. 12. Versatile performer who gained his greatest renown as the beloved dad on the sitcom “Growing Pains.” Dec. 13. Helicopter gunner in the Vietnam War who helped end the slaughter of hundreds of unarmed Vietnamese villagers by U.S. troops at My Lai. Dec. 13. Longtime NBA sideline reporter famous for his flashy suits and probing questions. Dec. 15. Surgeon who created the life-saving Heimlich maneuver for choking victims. Dec. 17. Jet-setting Hungarian actress and socialite who helped invent a new kind of fame out of multiple marriages, conspicuous wealth and jaded wisdom about the glamorous life. Dec. 18. Musician who shot to stardom at an early age in the teen duo WHAM! and moved smoothly into a solo career. Dec. 25. Actress who found enduring fame as Princess Leia in the original "Star Wars." Dec. 27. 2017 wishes: What are your hopes for the new year?